Will Tahiri’s Judges Feel the Vetting Pressure? Today the Serious Crimes Appeals Court will rule on the appeal filed by both former Minister of Interior Affairs Saimir Tahiri and the Prosecution Office regarding the previous decision of the Serious Crimes Court of First Instance to put Tahiri under house arrest. Whereas the Prosecution Office wants to take Tahiri into custody out of fear that he might destroy evidence, Tahiri’s lawyer Maks Haxhia called the earlier ruling unfair and demands release. 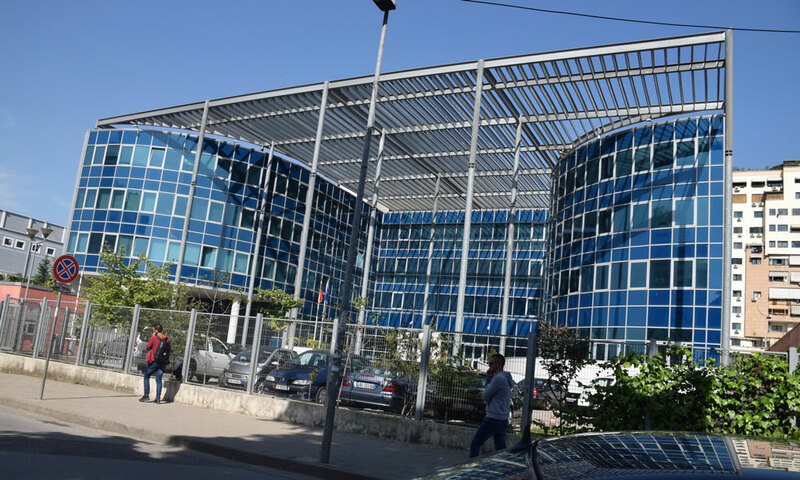 As reported by newspaper Panorama, the college of three judges consisting of Saida Dollani (chair), Sokol Binaj, and Fehmi Petku largely overlaps with the college judging a previous case of the Serious Crimes Appeals Court. That college, consisting of Dollani, Binaj, and Nertina Kosova ruled that Tahiri should be given back his passport and was free to travel outside the country, overturning an earlier ruling of the Serious Crimes Court of First Instance. We have heard several reports from independent sources about serious pressures in this case, also including bribes that have been offered to the judges. We call upon civil society and the media to follow this case attentively. Apart from the fact that the US Embassy, and not the media or civil society, has the actual means to “follow this case attentively,” one wonders what the role of the Justice Reform, and more precisely the vetting, is in motivating judges and prosecutors to arrive at a certain verdict. Nertina Kosova, who is also a candidate for the High Judicial Council, allegedly resigned from her post and will therefore not be vetted. The Independent Qualification Commission has, however, not yet published a verdict to that extent. Like Kosova, Saida Dollani and Sokol Binaj were all added to the vetting roster on May 15 and will be vetted in the coming months. Fehmi Petku will be vetted before them, as his case was already opened in January. The question is: will the prospect of the vetting motivate them not to accept bribes and pass a fair verdict on Tahiri following the Albanian law? So far, the KPK has dismissed 4 judges and 1 prosecutor, and has published 3 of those 5 decisions on its website. In all three published cases, the magistrate was dismissed on the basis of an assessment of their assets, in other words on the basis of whether they can justify their assets or not (and are therefore, supposedly, corrupt). Nevertheless the vetting process is only based in part on asset assessment and includes also a background assessment and a proficiency assessment, meaning that the KPK should also evaluate their person and past verdicts. We therefore do not yet know whether the KPK is capable or willing to dismiss any judge or prosecutor on other grounds than their (illegal) assets. Perhaps that’s all that matters. And this, in turn, has influence on the decision of the Serious Crimes Appeals Court today: Will the judges’ decision be influenced by what they consider the chance of being dismissed by the KPK? Nertina Kosova already made that choice, and we will today see how their colleagues decide.